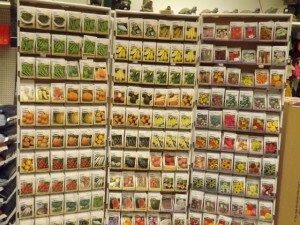 We offer a large selection of vegetable and flower seeds including those made by Agway, Burpee, and Livingston. We also have seed potatoes including varieties such as Katahdin, Yukon Gold, Red Norland, and Superior. Also available are onion sets and flower bulbs.